Chen Dance Center | Look North Inc.
A modern redesign for a New York City cultural institution. Established in 1979, Chen Dance Center has been dedicated to serving the Asian-American community and the New York City dance community.This commitment is demonstrated through arts education at the School, opportunities and production services at the Theater, and a modern dance Company known for moving presentations of Asian-American experiences. The Center is also dedicated to presenting a robust annual educational programming to schools in the metropolitan area. To better serve and communicate with their community Chen Dance Center needed a new website that they could easily manage. Celebrating over 25 years of cultural leadership through dance. A new website to help connect with potential students and the larger dance community. We worked closely with the executive director and program director to plan a new website that spoke to each of the organizations three main audiences - students, dance enthusiasts and their community. The site needed to be fast and responsive and be easy to manage by a limited staff that is already stretched thin. This is the second project we've worked on with Look North and they are always a great partner. Faced with the challenge of creating a site with content for English and Chinese users but not requiring full-on translation for the entire site we created a smooth experience for both languages. The main site is in English but those seeking Chinese can easily access content they need. And, the Chinese content is managed through the same Content Management System as the rest of the site. 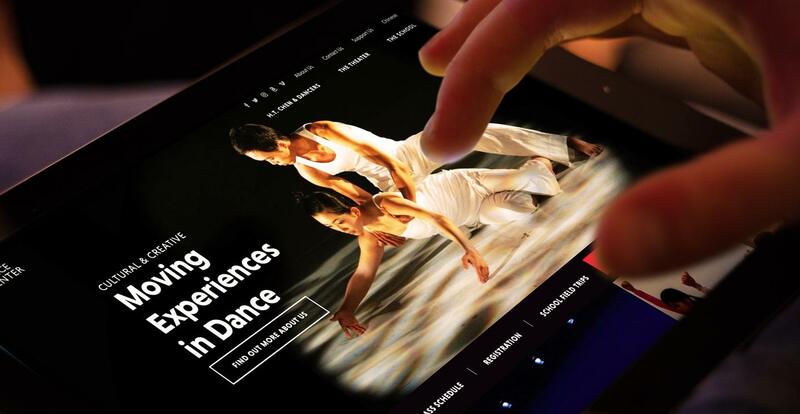 The new Chen Dance Center site is responsive for easy access on desktop and mobile devices alike. Knowing that a large number of their community depend on mobile devices for most internet use we wanted to ensure these visitors got the content they need without sacrificing a great user experience. Part of Chen Dance Canter’s mission is to keep their community up-to-date with their upcomming events so whats better than setting up an easy way for people to stay connected? The site automatically populates their Constant Contact email list for easy deployments. We worked with an existing identity but gave it new life through the site design. We designed the new site using the existing logo and color palette but introduced new typography and visual elements to create a vibrant, fresh experience. From the large images throughout to the improved legibility the site is engaging and easy to use.